You have a prior DWI or wet reckless conviction within the past ten years. Your BAC level is 0.2 percent or higher. You refused to submit to a chemical DUI test after your arrest. You were speeding or driving recklessly. A child age 14 or younger was in your vehicle. 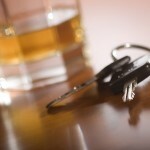 Your intoxicated driving led to property damage, bodily injury, or a fatality. On a first-offense DWI charge with a 0.2 percent or higher BAC level, a 9-month alcohol program may be ordered instead of the “regular” 3-month program. A judge may also impose additional terms such as community service or installation of an ignition interlock device. 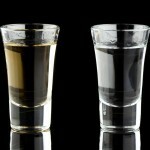 If a driver refuses to submit to a chemical DWI test after a lawful DUI arrest, on a first offense the DMV will suspend driving privileges for a year instead of the usual four months, and the court can order two days of mandatory jail time. If a person was driving 20 or more miles per hour over the speed limit on surface streets or 30 or more miles per hour over the speed limit on a highway, the judge can order a mandatory 60 days in jail in addition to the other penalties. If the driver had a child under age 14 in the vehicle, the court may enhance the DWI sentence with ten additional days in jail. If an accident happened causing property damage, the court will typically order restitution. 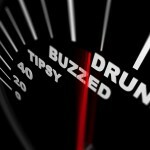 If someone was injured, a felony DWI charge can be filed. If you need legal help and representation for any DUI case in southern California, now or in the future, contact an experienced Orange County DWI lawyer immediately.